The end of 2014 warrants some sparkle and more than my usual 'barely there' face. 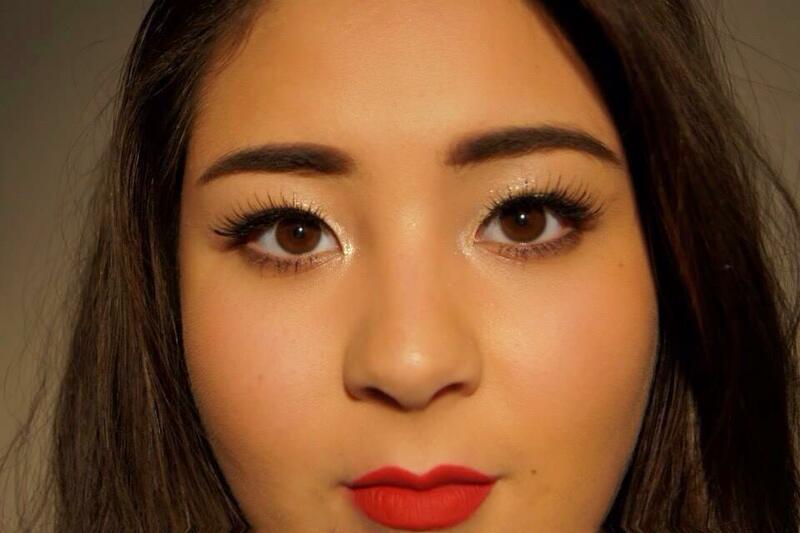 This makeup look is classic, super simple and stress free, leaving more time to bring in the new year with some gusto! First, base. Although quite wordy, in real time, the 'face bit' only takes around 5 minutes. I'm layering my bases to maximise 'smooth-skin-nosity' and 'photoability' without caking on foundation. Party season or not, I like my skin to feel weightless and not bogged down with product. First off is Loreal's Studio Secrets primer. Jam-packed full of silicons, it smooths out uneven textures on the skin's surface and takes the edge off any shine. Next is Stila's HD Beauty Balm. Although it took me a while to get used to the scent, this has now become a mainstay in my beauty artillery. With very little coverage, this hero makes my skin super plump and hydrated, evens out my skintone and buddies up with the aforementioned primer in the smoothing and anti-shine department. Foundations prepped, time for a little coverage. And that comes in the form of Chanel's Vitalumiere Aqua in 40, I can't speak highly enough of this stuff. A few dots swept in with fingers just where I need it, so pretty much just a dash across my rosy cheeks. For tinting and setting purposes, Seventeen's Define & Conquer Kit. A fat brush aids application; a light sweep of the lighter colour down my nose and across the tops of my cheeks, and the darker colour through the backs of my cheeks and temples. My aim with this is minimalism, I don't want it to be detectable. Even easier than the base, I start with Chanel's Illusion D'Ombre in Fantasme. I sweep this snowy, super fine glitter fairly messily and definitely liberally across my eyelids, then top with the equally fine champagne glitter from No7's In The Navy trio (a fantastic mini palette). For a little extra sparkle (why not, it's Christmas), on with Collection's Glam Crystals liner in Funk. Curl lashes, a generous coat of Chanel's Inimitable mascara and show my brows some love with a quick groom and touch up. 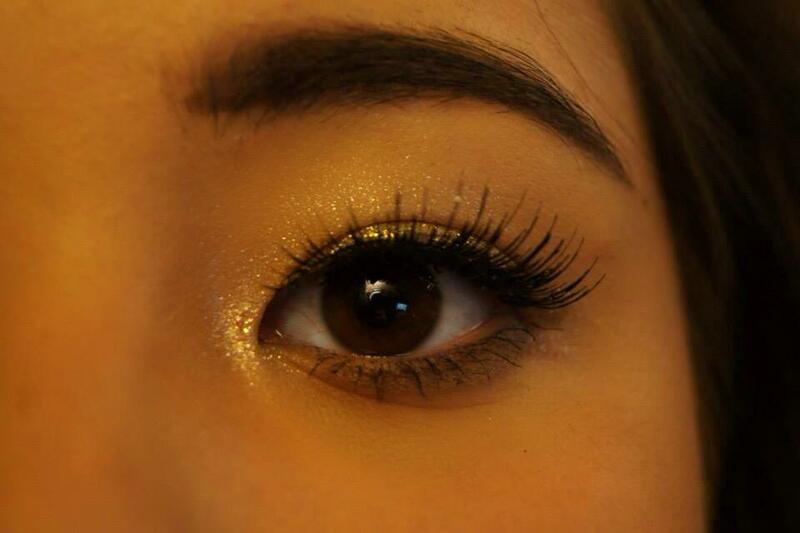 And if you can't wear some false lashes at this time of year, when can you? I've gone for Eylure's Naturalite's. I need something easy and long-lasting, so liner is the perfect cheat. Outline, then fill in, blot and reapply. Done; a matte-to-velvet finish that won't come off unless you want it to. And c'est fini. A minimal-effort look that's in perfect keeping with a celebratory year's end. Have a Happy New Year's everyone! 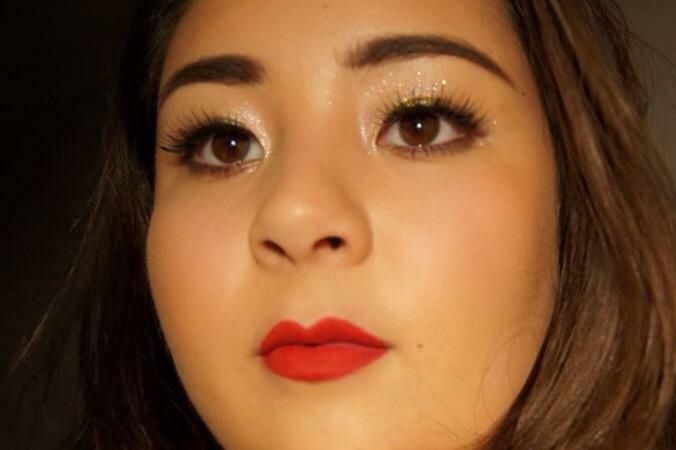 I know NYE has passed, but I absolutely LOVE this makeup look, you look gorgeous! I tried that Loreal primer ages ago and I didn't like it, but I'll definitely get it out again and give it another try. 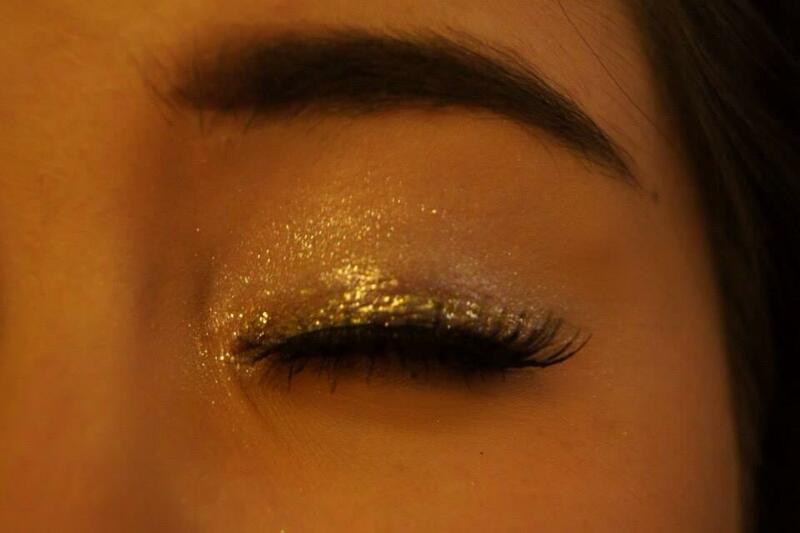 I have to get my hands on that Collection glitter liner, it will be perfect for any party/night-out looks.